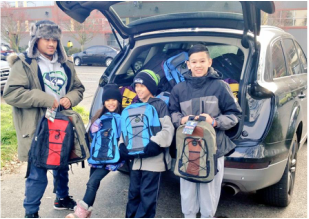 Backpacks are filled with hygiene, food, and clothing items that are needed most by people experiencing homelessness. The backpacks are then giving to people on the streets or within homeless encampments in King County. If you would like to make a donation toward our backpack program please visit our GoFundMe page in order to help us raise the funds to purchase more items to fill backpacks for people in need.